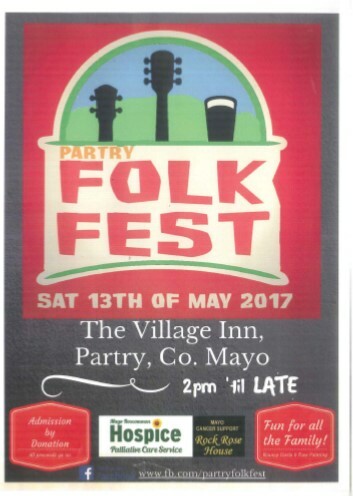 The inaugural Partry FolkFest will take place on Saturday, 13th May 2017 in The Village Inn Partry, in aid of Mayo Roscommon Hospice Foundation and Mayo Cancer Support, Rock Rose House. Two fantastic causes. Lots of music and fun for all the family. Starting at 2pm til late. Admission by Donation. Please Support!